We’ve had a few questions asked more than once, so we put these questions and answers here to help you out. If you have any other questions, please do not hesitate to contact us! What is the cost to take part in a Drive Safer Basic Course or Advanced Course? A: The current cost for a Drive Safer Basic Car Control course is currently $279 if you signup prior to the day of the event. If you purchase on the day of the event, the cost is currently $299. The current cost for a Drive Safer Advanced Car Control course is currently $399. If you purchase when you register for the Basic Course, you will receive a discount. My school said that this is part of a fundraiser. How does this work? A: Your school should have sent you a link to the drive safer website, or a link to a special web page that was set up for your school. When you come to the Drive Safer website and register online to participate at www.drivesafer.com, your school will be credited. What do you learn at Drive Safer events? A: Drive Safer takes everything that you ever learned in Driver’s Education to a whole new level. Through skills taught by certified high performance driving instructors, Drive Safer elevates you from a driver that can properly operate a vehicle, to one that can confidently control it. Drive Safer courses are fun and exciting. The actual behind-the-wheel training will teach you how to survive on the road – from learning how to avoid or recover from a skid, to understanding when and how to properly use your brakes and much more. Who are the instructors and what are their qualifications? A: Each Drive Safer event is taught by a team of certified high performance driving instructors. Our team of instructors are among the best that you can find. Each of them has completed a certified Instructor Training School with at least one of the national sanctioning High Performance Driver Education (HPDE) programs. They have spent hundreds of hours riding “right seat” with students teaching everything from the fundamentals of vehicle dynamics to advanced driving skills to practicing race craft. Many of them have also received regional or national honors as winners of either their race class, autocross or time trials. This team has the right experience and temperament to maximize the time they have with each our students to impart safer driving techniques. Further, our professional instructors are able to communicate effectively in the classroom and in the car and are able to help our students develop and hone their skills while maximizing safety. Should I be concerned that race car drivers are teaching my teen? A: Definitely not. The program is not about speed at all, and the course is run at very safe and moderate speeds, with 40 mph as a top speed in the course. In fact, most students leave the event with a much higher level of respect for safe driving, and an understanding of how dangerous speeding can be! Having your teen taught by a professional driver should give you the greatest sense of confidence. Imagine being taught to play golf by a PGA pro, or having an NBA player coach your teen’s basketball team. If you are going to learn to do anything, you want to learn from the best. Our instructors are among the most skilled and qualified drivers in the world. Their innate ability to get young drivers to understand and implement the skills needed to safely navigate the most difficult of driving situations is unparalleled. These certified high-performance drivers have many more hours of practice and experience behind the wheel than virtually any other drivers, including police officers! How long do Drive Safer events last? A: While the Drive Safer events run all day long, each participant in a Drive Safer Basic Car Control and Defensive Driving course will be part of a “heat” that begins at a specific time and lasts approximately six (6) hours. When you register for an event, you will choose your desired start time. For Drive Safer Advanced Car Control Courses, the program will last approximately five (5) hours. For Parallel Parking Boot Camp™ participants, the program that you register for is a one (1) hour block, however, you are permitted to stay longer. For Building Blocks™ Young Teen Driver programs,, you will be participating for two (2) hours. We request that all Participants be onsite to register at least thirty (30) minutes prior to your start time. Once you have registered for the event, you will receive a confirmation email of your registration immediately. Do I need to have a driver's license to participate in a Drive Safer event? A: No. 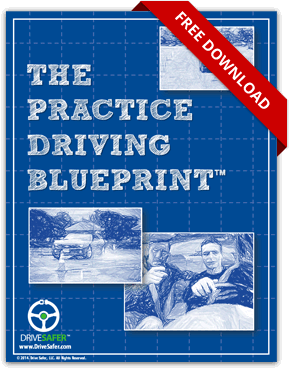 A driver’s license is not required; however, participants for all Drive Safer programs, with the exception of the Building Blocks™ Young Teen Driver Program, are required to have the minimum of a valid state-issued and validated learners permit. Are Drive Safer events only for teens? A: No. While the events are focused on solving the teen driving problem, the skills learned at Driver Safer events are designed to make every participant, regardless of age or previous driving experience, a safer and more skillful driver. How old do you need to be to participate in a Drive Safer event? A: To participate in our Basic Car Control and Defensive Drivng Course, Advanced Car Control Course or Parallel Parking Boot Camp™, all participants must be at least 16 years of age and possess a valid state-issued learner’s permit. To participate in our Building Blocks™ Young Teen Driver Progam, you must be at least 14 years of age. My teen has already taken drivers educations and gone through a 6-hour driving school. Isn't this basically the same thing? A: Definitely not. There is a gap in what is being taught to our teenage drivers and what is happening on the road. Understanding the rules of the road is critical, but so is safely and properly controlling the vehicle. This can only be learned through experience. The first time most teens experience hazardous driving conditions, such as their car sliding on a patch of water, oil or ice on the road, is when they are driving the car on their own. Most do not have the familiarity or skills to handle this type of situation. Oftentimes this lack of experience and know-how results in expensive damage to vehicles and property and sometimes even injury or death. Our teen drivers today are simply not taught these types of skills or introduced to these situations in a safe controlled environment. As a result, young drivers lack the confidence and capability to handle challenging driving situations when they do occur. Drive Safer programs introduce drivers to potentially dangerous driving situations on a safe, specially-designed course, through experts who can teach them not only how to handle them, but also how to try and avoid them altogether. Will taking part in a Drive Safer event lower my insurance rate? A: Drive Safer provides an online course and a classroom course that both qualify for defensive driving insurance discounts and to remove up to 2 points from your driver’s license in the state of New Jersey. Please note that there are requirements as to how many discounts you are eligible for and each insurance company does have their own rules and methods of calculation; however, most participants will see a 2% – 10% savings for three (3) consecutive years. In addition, the discounts increase based on the number of people who take a course, that are on the same insurance policy. 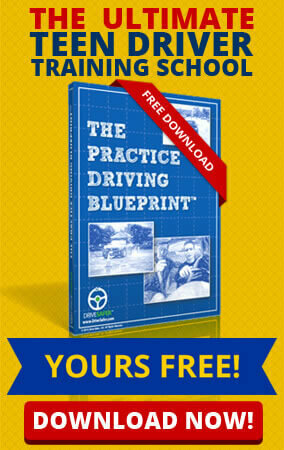 You may only take a defensive driving course to remove points once every five (5) years. You may take a defensive driving course for insurance discounts once every three (3) years. Why do I have to use my own car? Isn't there a good chance it could be damaging during the event? A: We feel very strongly that Participants should learn the skills that are taught in the vehicles that they most frequently operate. All cars handle differently, and as a young driver, they often do not have the opportunity to put their car through its paces to understand how it will handle in various situations. Drive Safer Events provide the opportunity to more intimately familiarize drivers with their own vehicles, and provide a much higher level of confidence and capability in handling the vehicle that they will be driving on a regular basis. The course is designed with safety in mind. The cones that are used for the exercises are low-profile, and if a cone is hit, it should not damage the car in any way. Our courses are configured to provide ample space to ensure that there are no collisions or obstructions, and provide a very safe environment in which to learn. How much gas should I have in my car prior to the event? A: It is a good idea to fill up your tank before you come to the event. While most cars typically use only about 1/4 of a tank of gas, it is better to be safe than sorry! We encourage people to fill their gas tank prior to participating in a Drive Safer course. Can I use any type of vehicle for the event? A: While we do allow most vehicles, we require the vehicle to be a four-wheeled, street licensed vehicle. Each vehicle must have proper seat-belts installed. Trucks, SUV, and vans are allowed; however, they may not have loose objects or cargo inside them. Drive Safer reserves the sole right to reject any vehicle determined to be unsafe.